Nike Sportswear introduces a snakeskin Air Force 1 Mid for the grade school sized crowd. 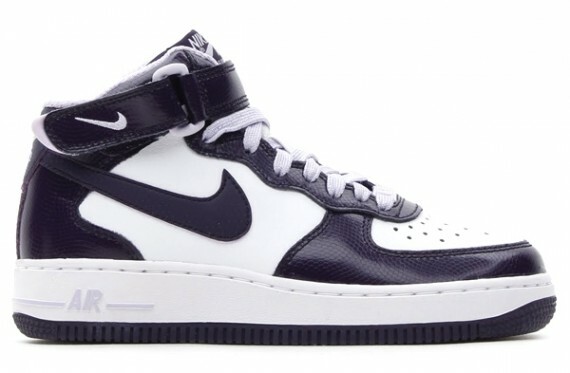 Expected to release soon, the simple yet still effective Air Force 1 Mid GS works with a premium leather build and purple snakeskin over the toe, eyestay, collar strap, Swoosh logos and heel panels. 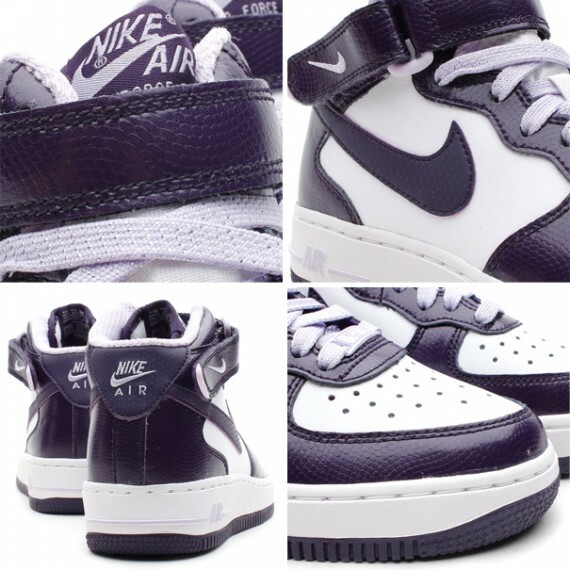 Violet frost laces add a nice touch, while white and purple hits the AF1 sole sitting below.